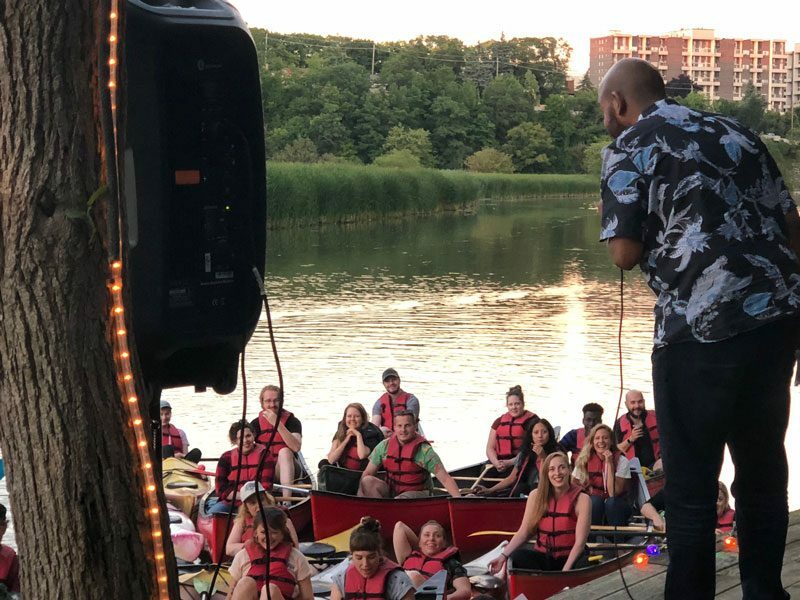 Grab your boats and paddles, and join us downtown Huntsville on the Muskoka River for an afternoon of stand-up comedy in the great outdoors. Audiences will embark from the town docks on a scenic paddle to a stand-up Comedy Show located right on the water! Upon arrival you’ll be greeted by some of Toronto’s biggest upcoming comedians hosted by Dan Galea. Don’t have a boat? No problem! 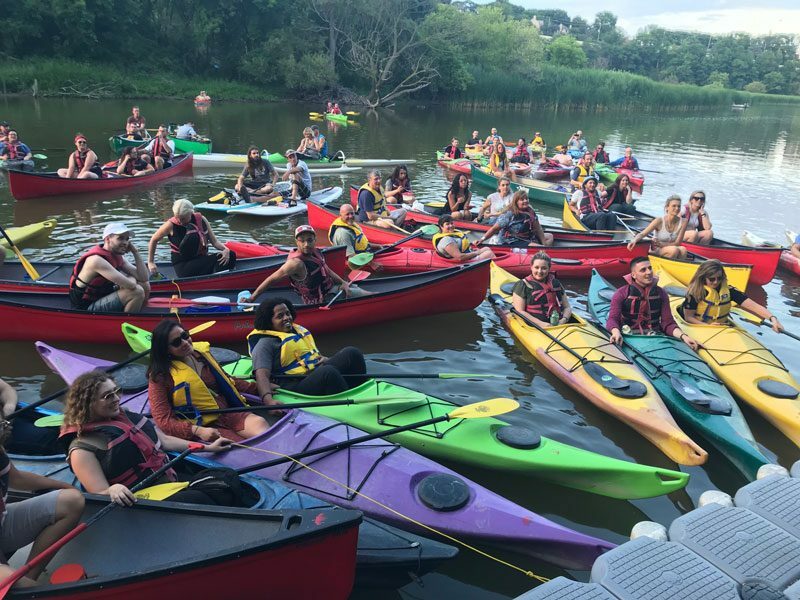 Canoe rentals are available through Algonquin Outfitters. A night of storytelling with best selling author and humorist Kevin Callan aka the Happy Camper. 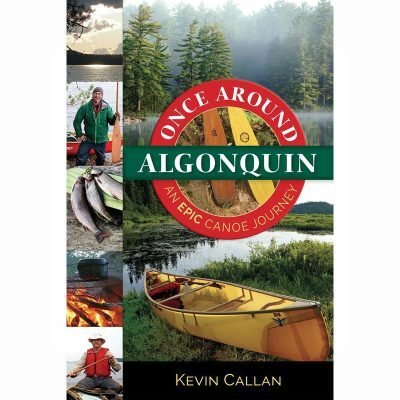 Kevin will share stories from his hilarious new book “Once Around Algonquin”: an exciting tale of misadventure on the toughest paddling route in Ontario’s most well-loved wilderness, Algonquin Provincial Park. 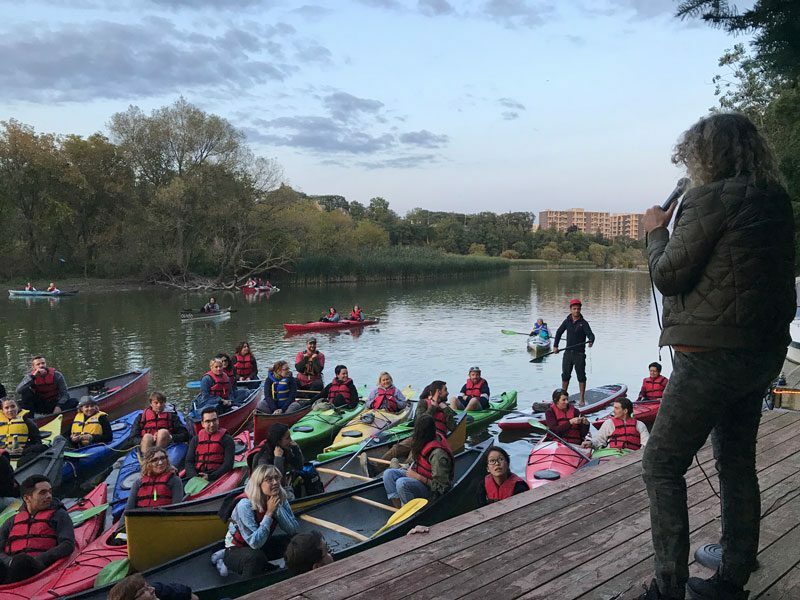 While sharing his love of this paddling paradise, Callan details some of the park’s history and evolution, interweaving stories from the voyage. Chuckle along with the tales behind the blisters and bruises in this bromance adventure tale all told with Callan’s trademark humor. Once Around Algonquin is an epic three week journey ,with good friend Andy Baxter. – This 420km canoe route, complete with 93 portages that add up to 68km is known as the Meanest Link. Andy says Kevin isn’t allowed to organize any more canoe trips. Don’t miss this presentation. It’s a classic. Kevin (aka The Happy Camper) is the author of 18 books; his latest being Once Around Algonquin: An Epic Canoe Journey. He is an award winning writer and a keynote speaker at outdoor events across North America. Kevin is also a regular guest on several television morning shows and CBC Radio. He has won several film awards, writes a column for Paddling Magazine and Explore Magazine. Kevin was listed one of the top 100 modern day explorers by the Canadian Geographical Society. He was also made Patron Paddler for Paddle Canada. Check out his web site at www.kevincallan.com and YouTube channel KCHappyCamper.